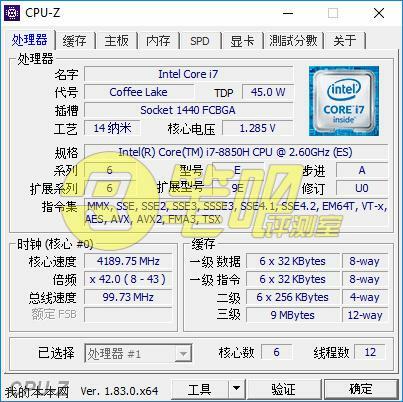 Cinebench scores of Intel’s upcoming Coffee Lake mobility lineup have leaked out from Wobenben (via Videocardz). 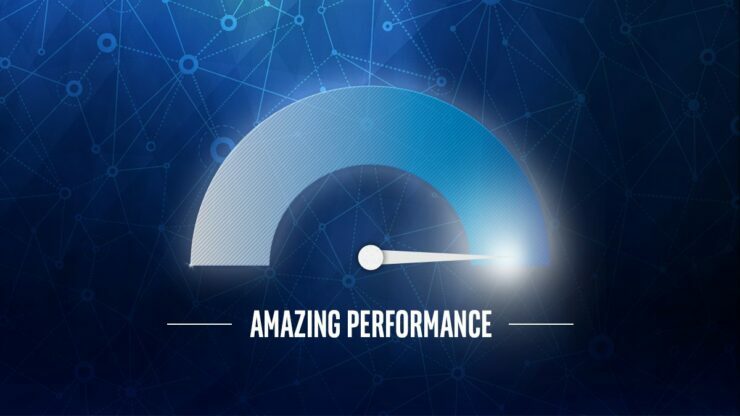 It looks like this time we have LENOVO’s internal testing team to thank for – since thsese are the laptops that were initially spotted on Geekbench and later tracked down. The Core i9-8950HK, 8850H and 8750H represent a significant upgrade in the mobility consumer space because this is the first time that the core count will go upwards of 4. First up we have the Cinebench scores, which are the bread and butter of enthusiasts when it comes to CPU and represents the full power of the CPU completely and properly harnessed. This is the first proper leak surrounding the new lineup and its incredibly exciting to see power of this caliber on a mobility platform. This would help gaming laptops to some extent but would offer almost another tier of performance to professionals on the go. Image aggregated by Videocardz. Courtesy of Wobenben. Interestingly enough, it looks like something is still less than optimal (notice the MP Ratio) during this test because the 8950-HK actually scores lower than the i7-8850H processor. 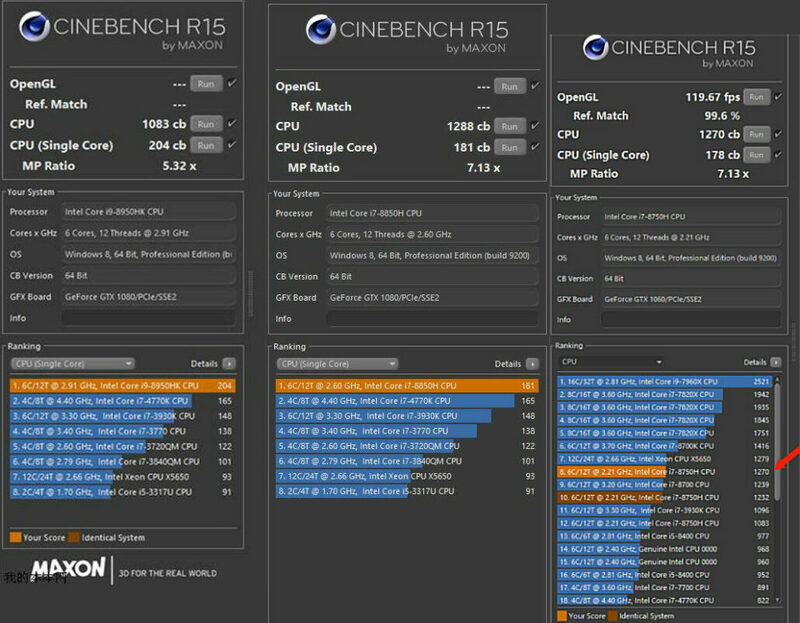 The Intel Core i7-8750H scores 1270 points in the Cinebech benchmark, which is pretty darn impressive for a mobility processor. The 8850H ups it by a few points pushing the bar up to 1288 points. 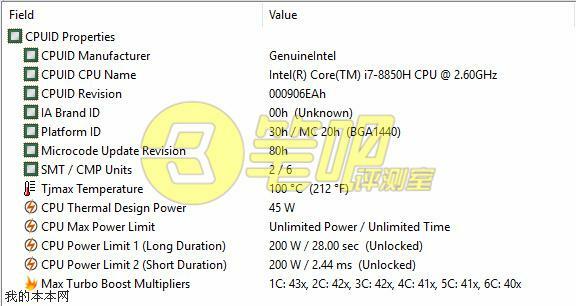 Finally we have the Intel Core i9-8950-HK which scores, oddly, just 1083 points. 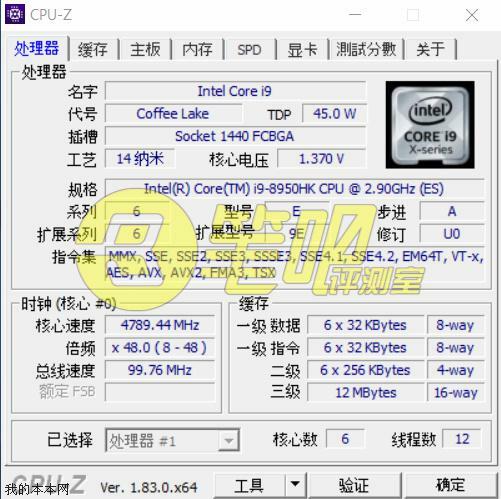 The flagship SKU of Coffee Lake-H series will be the Core i9-8950HK which is a 6 core part with 12 threads. This chip features 12 MB of L3 cache and will be geared to run up to 4.8 GHz clock on a single core while all core boost will be set at 4.3 GHz, base clock will be set at 2.90 GHz. This is quite a jump for a mobility chip and we can also expect the processor to feature full support for overclocking. The reason for this unexpected score lies in how the processor is configured. Even though the 8950HK is clocked higher and has a higher vcore than the 8850H (4.8 GHz turbo with 1.37v as opposed to 4.2 GHz with 1.285v) the TDP limit as shown from the HWINFO screenshot shows it set higher for the 8850H. In other words, the 8950HK is being leashed and not able to unfurl its figurative wings. 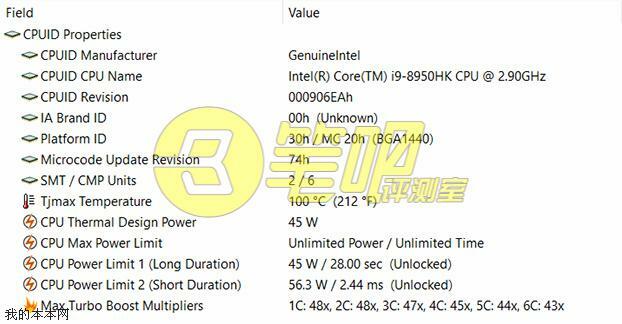 What this essentially means is that the 8950HK benchmark is NOT indicative of final performance while the other two are. It goes without saying this is something I expect to change when the official product hit the shelves. Lastly we have the geekbench benchmark which is probably the exact opposite of cinebench in the sense that it very rarely is an accurate indicator of real life performance. Because of the fact that the benchmark covers a very wide variety of tests and takes an average, results can have a high degree of variation and depend a lot on optimal drivers. 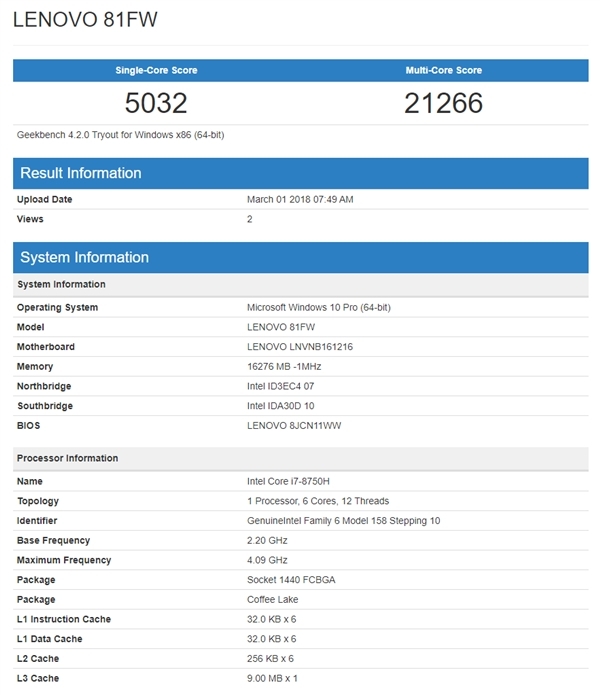 This particular geekbench is for the Core i7-8750H and shows a very impressive score of 20,000 aggregate and a single core score of 5000. That said, considering this is a 6-core, we can expect up to 25000 and above with finished drivers.